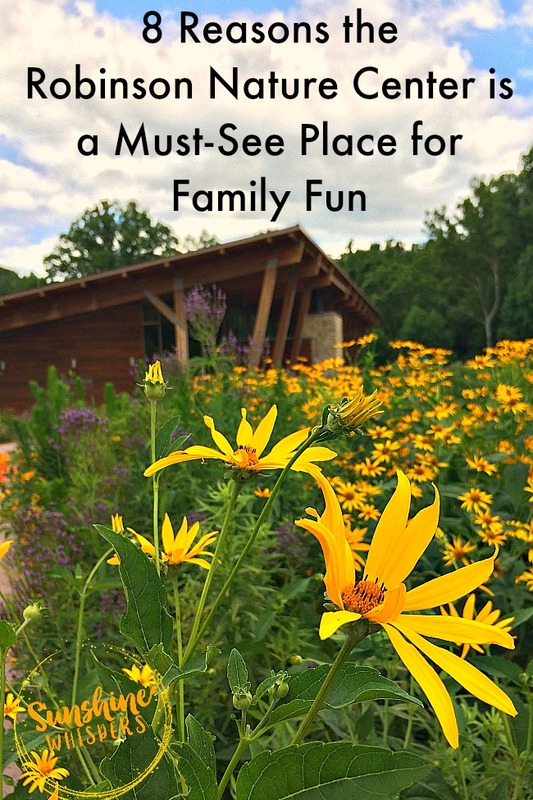 8 Reasons the Robinson Nature Center is Awesome for Family Fun! 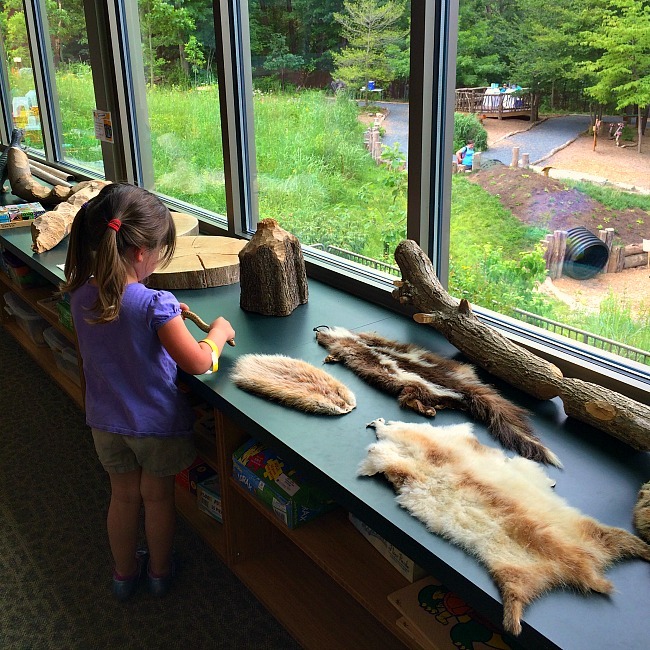 8 Reasons the Robinson Nature Center is a Must-See Place for Family Fun! 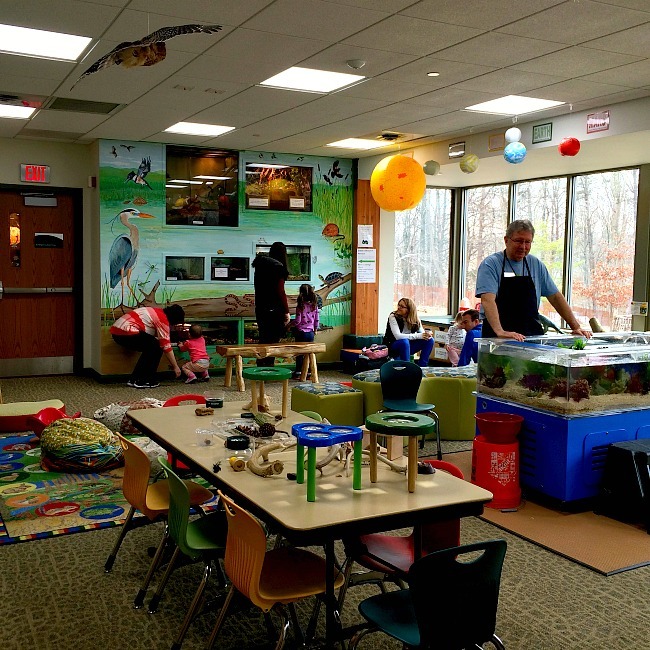 Inside: The Robinson Nature Center is a great place for kids to have fun in Maryland. Here are 8 reasons why! My daughter was the first one to spot it. As we walked down the hill towards the river, she detected a little sparkle. A glint of shimmer. What was that? Is the path shining? At first it was faint, but little by little the shimmer became more pronounced until we couldn’t dismiss it any longer. The hiking path was covered in gold. Sure enough, when we arrived at the edge of the water, scores of kids and their parents were up wading in the river, searching for treasure. The treasure was not hard to find. Once my daughter caught glimpse of her first gold rock, she was on a roll. Within minutes she had loaded up my purse with about 10 gold rocks. For a 3-year old this was absolutely magical. I was super impressed. I mean, talk about creating magical experiences for kids. 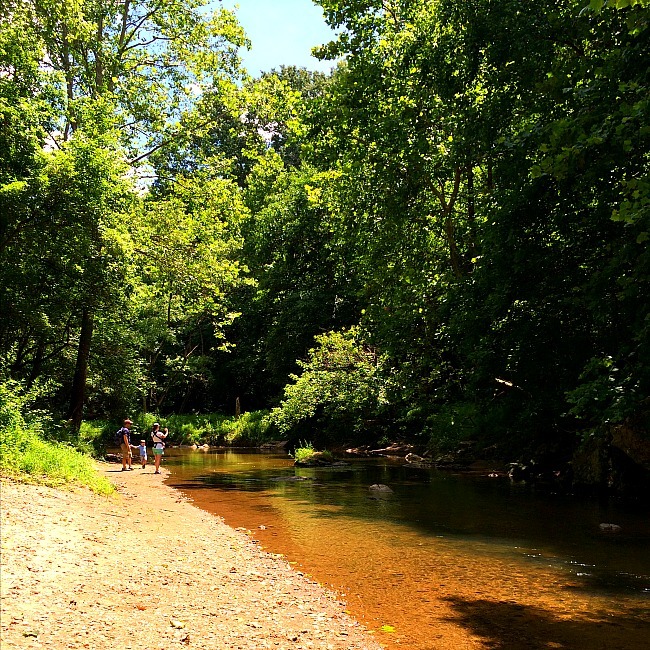 It was pushing 100 degrees outside and the staff at the Robinson Nature Center went out of their way to spread massive amounts of glitter on the trail to the river, and then paint rocks gold. I wouldn’t be surprised if they had painted a few hundred rocks gold. My daughter cherished the gold treasure she found. However, I treasured the golden memories we made. To me, those memories were priceless! My daughter absolutely loves this natural playground. 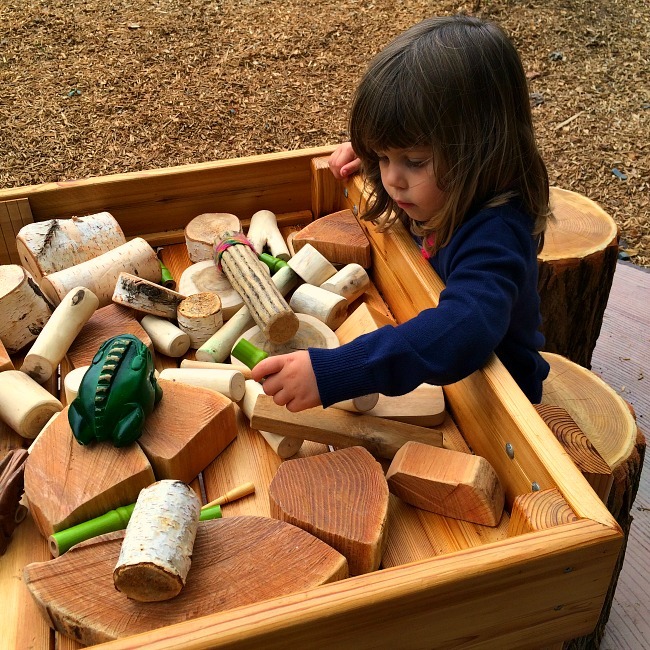 Kids can crawl through giant logs, build with blocks made directly from chunks of trees, and slide down a fun slide. The features of the playground change every time we visit. On our last visit there were some super fun hammock swings hanging from the trees. If it is hot outside, be sure to bring your water shoes and a change of clothes. 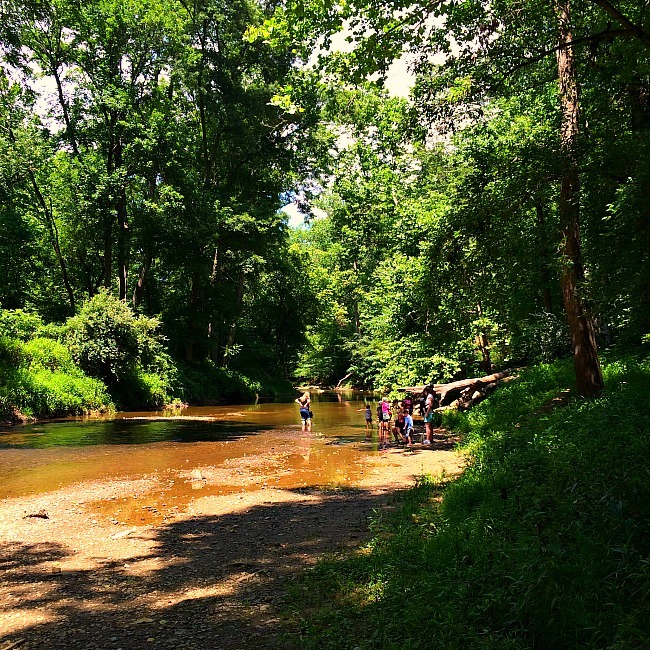 The Middle Patuxent River is a very short hike (not even 1/2 mile) from the main Nature Center. This is a slow flowing river and is really a ton of fun for kids (and parents) to splash around in. 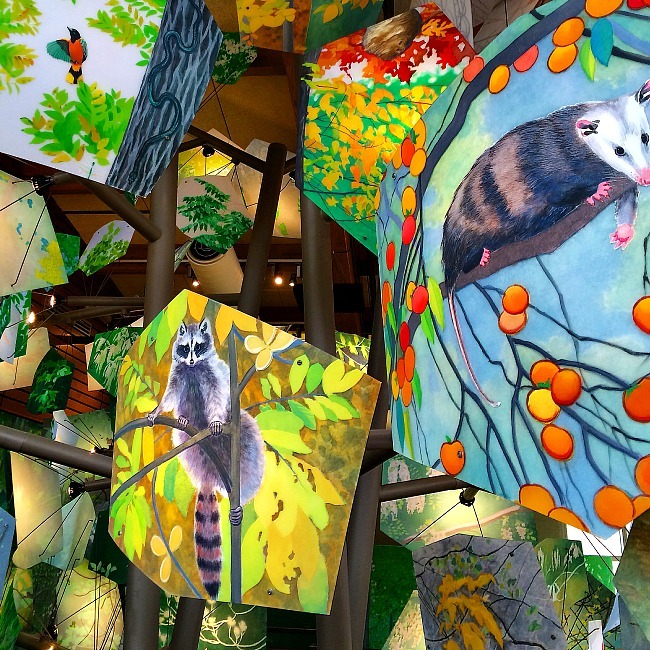 If you have young kids, this amazingly fun room is a must visit in every season. 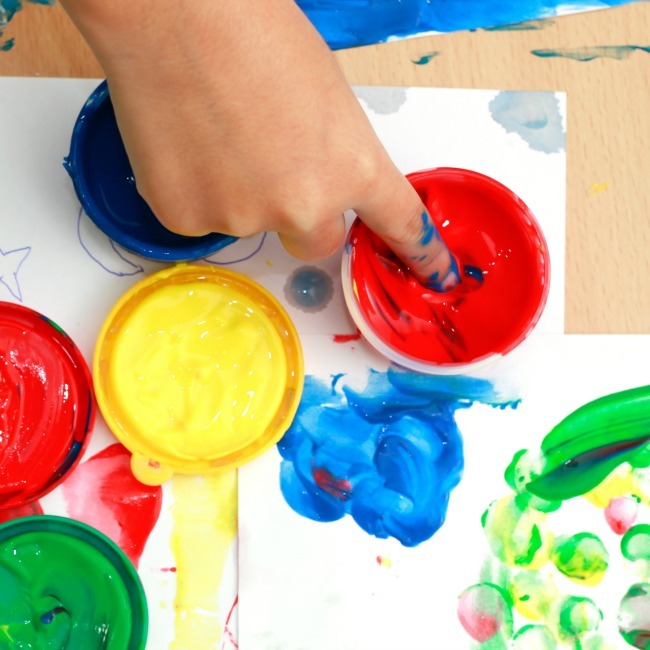 Some of the many fun activities for kids include a touch pool, live animal encounters (my daughter recently got to pet a snake), books, animal skins, magnifying glasses so they can examine animal bones and bugs, a puppet show area, a gigantic chalkboard, dress-up costumes, and nature inspired toys and games. Due to the large windows that overlook Nature Place and run the entire length of the room, there is tons of natural light which makes the entire space happy and fun. 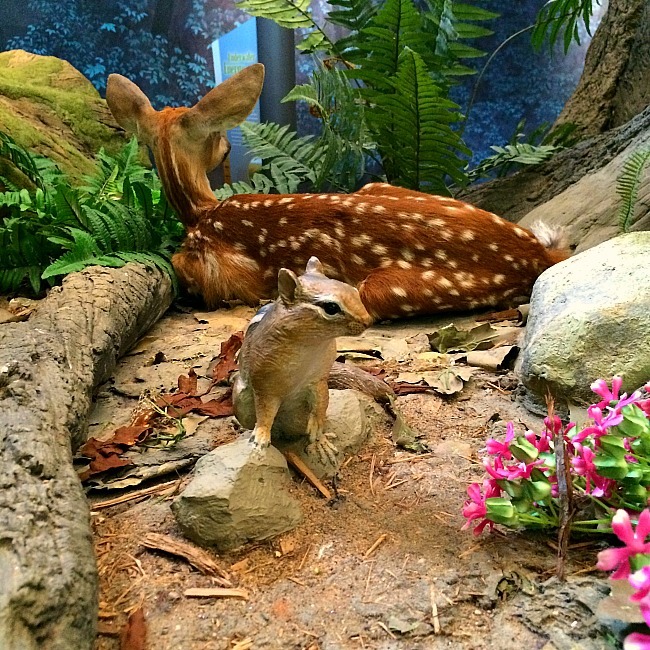 After your kids fully explore the Discovery Room, meander through this lovely hands-on exhibit. Kids will love the sights and sounds of nature, all the buttons they can push and flaps they can lift. The Bat Cave is a definite hit as well. Then, take their hand and enter the forest at night for a slightly spooky (ok, not spooky at all.. unless you are 2 years old) stroll in the dark. This part of the exhibit is short and it pops out on the ground floor of the Nature Center, right next to the Naturesphere. The nature center has about 1 mile’s worth of nature trails in and around the center. These trails are very doable nature walks for little legs and at least one of them leads to the river. 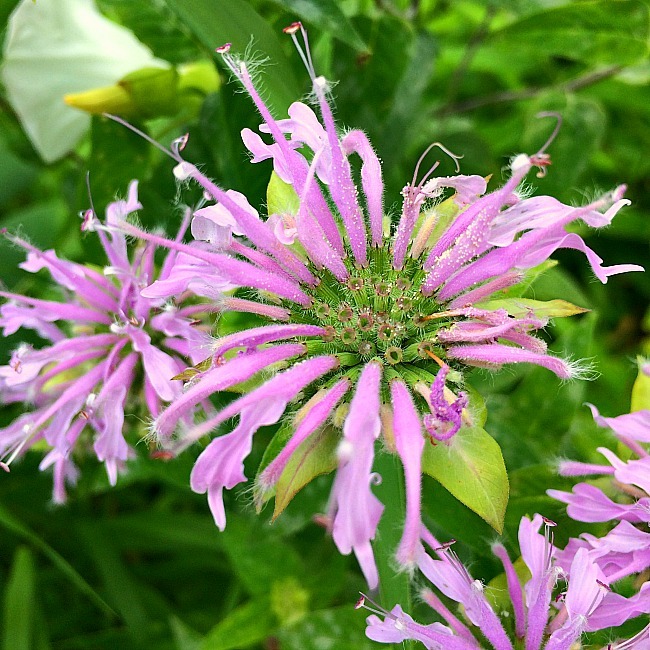 In front of the main entrance to the nature center there is a stunning wildflower garden, complete with a lovely water feature. When we last visited (July), the garden was bursting with purple, white, yellow, orange, pink, and red flowers. 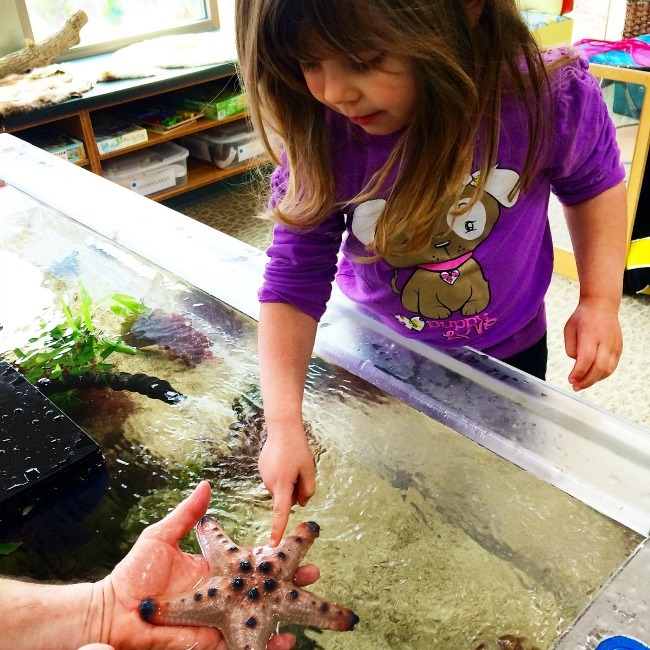 The Robinson Nature Center regularly puts on special programs for kids and their parents. 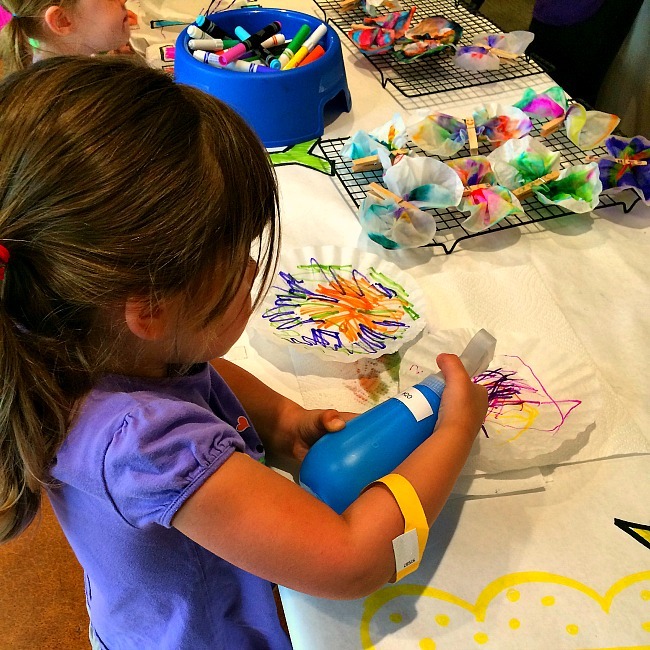 Every month, First Saturday Discovery Days includes games, crafts, story time, and other activities centered around a particular nature theme. 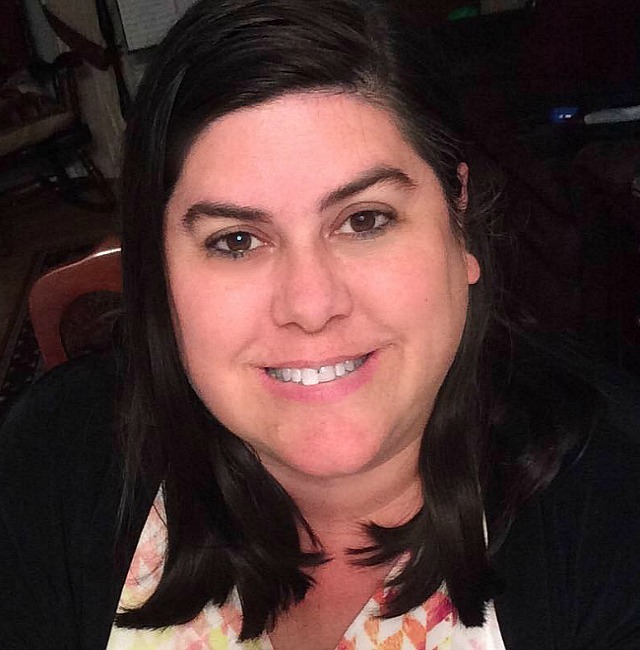 The center has Kinder-Garden programs that teach kids to garden and star-gazing for kids who are a little older. Also, they put on a great program in conjunction with Port Discovery called Animals, Animals, Animals! 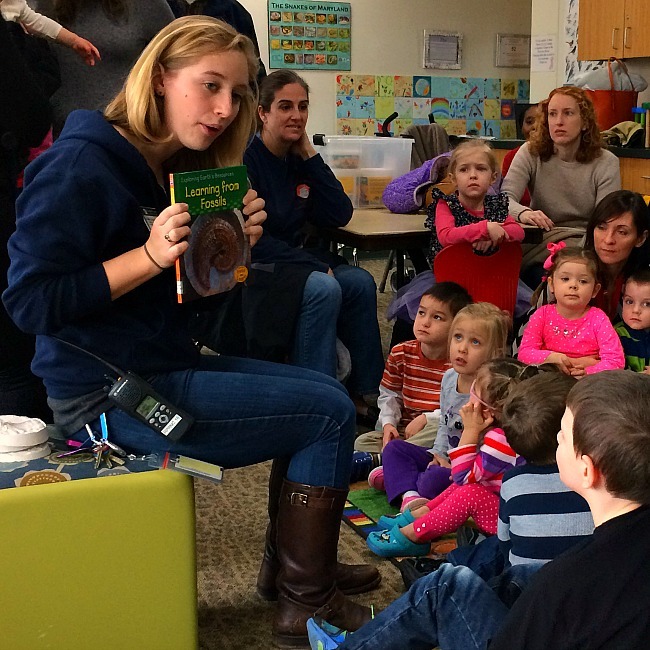 This is a play-to-learn program which teaches kids about animals through play. 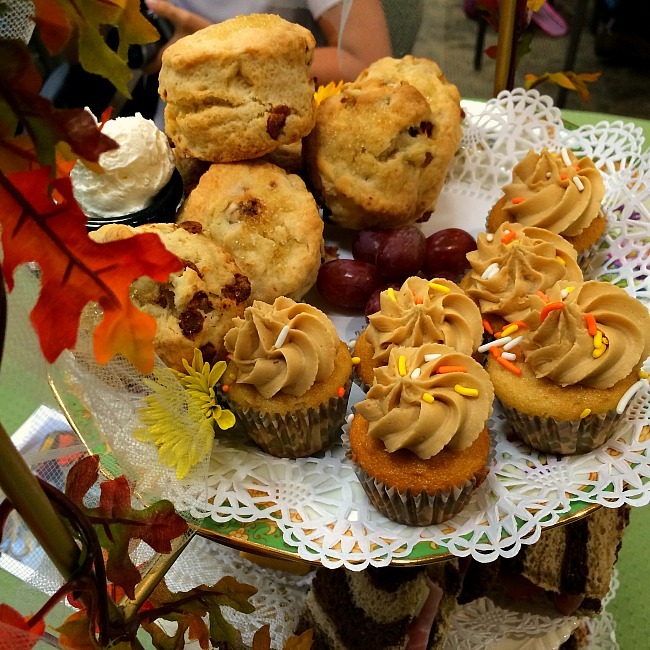 We attended one of their lovely nature-inspired tea parties, the Magical Monarch Tea Party. The cost of admission included a full, kid-friendly tea, encounters with butterflies, and butterfly inspired crafts and games. My daughter was absolutely thrilled! 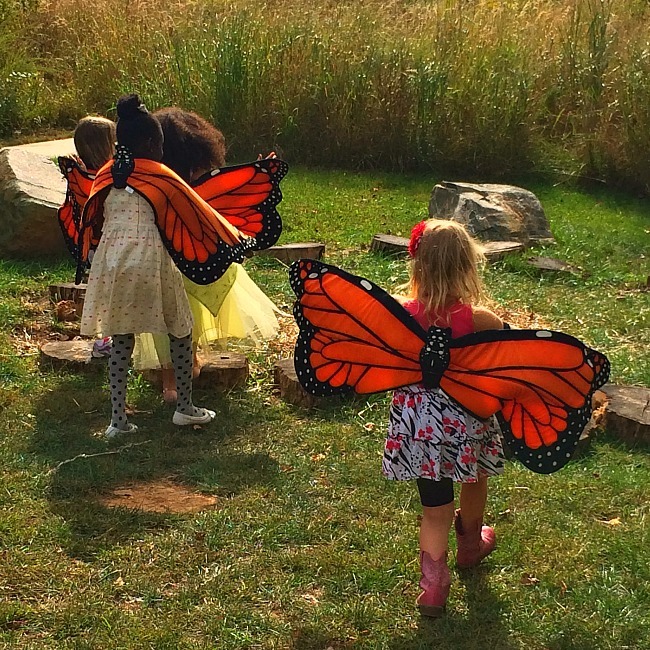 There are a few really spectacular events throughout the year at the Robinson Nature Center. 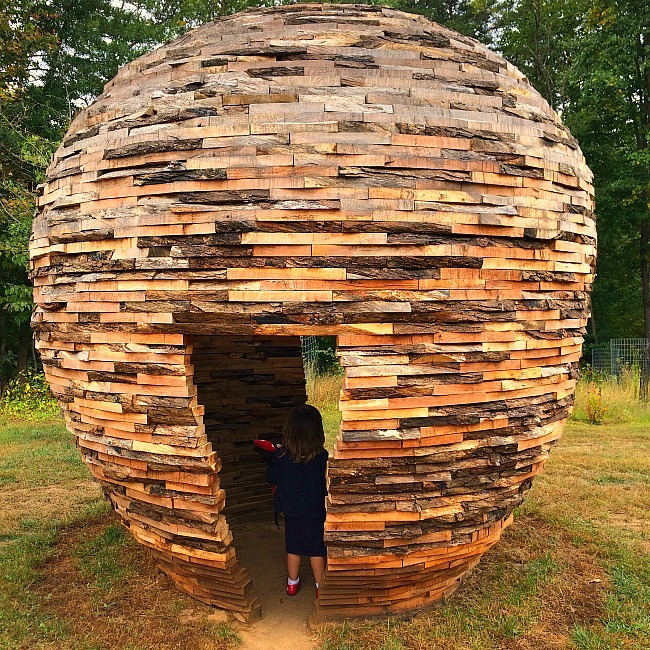 In the Spring you can join the center for a lovely Easter Egg Hunt, in the Fall you can help celebrate their anniversary or chuck your pumpkins post-Halloween. However, we loved their Summer Spectacular, which takes place in July. My daughter played for a good three hours and loved all the activities offered by the center. 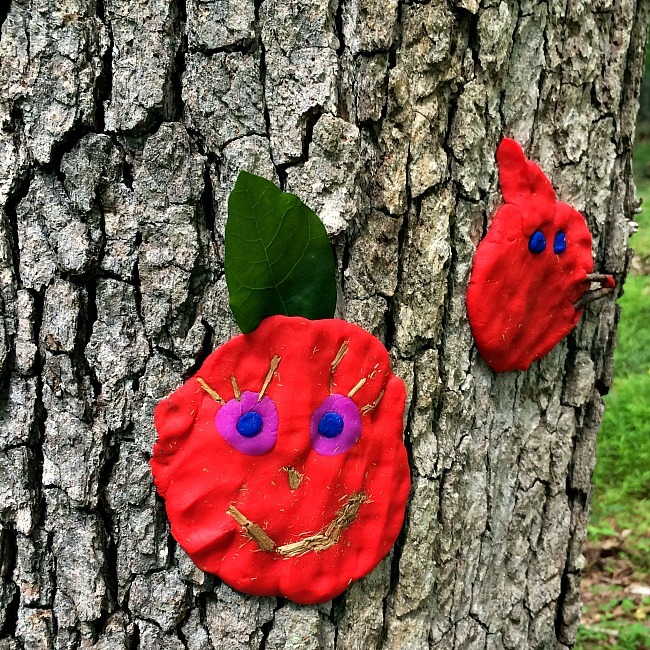 In addition to all the regular activities like Nature Place and the Discovery Room, kids could pan for gold treasure at the river, try to catch butterflies, create forest faces, play with bubbles, and pet a cockroach. There was face painting, at least three craft stations, and numerous animal encounters. Even though it was super hot outside, the staff put on a super cute play, a rendition of the Tortoise and the Hare. I would highly recommend checking out the Summer Spectacular event next year. Your kids would have a blast! The center is open Wednesday through Saturday from 9AM-5PM and Sunday noon-5PM. The center is closed on Monday and Tuesday. Admission is $5 for adults and $3 for kids age 3 and over. Wednesdays are free for families and individuals, but it is also mega crowded on Wednesdays, at least during the summer. The special programs are very well planned and a lot of fun, but the spots fill up fast. If you think you want to participate, sign up early! There are plenty of restroom facilities inside the main building of the nature center. Additionally, there is a rather nice and large outdoor picnic area. However, there are no refreshments for sale on the premises. The Robinson Nature Center is constantly updating their schedule. Check the brochures available on their site for the most recent offerings. 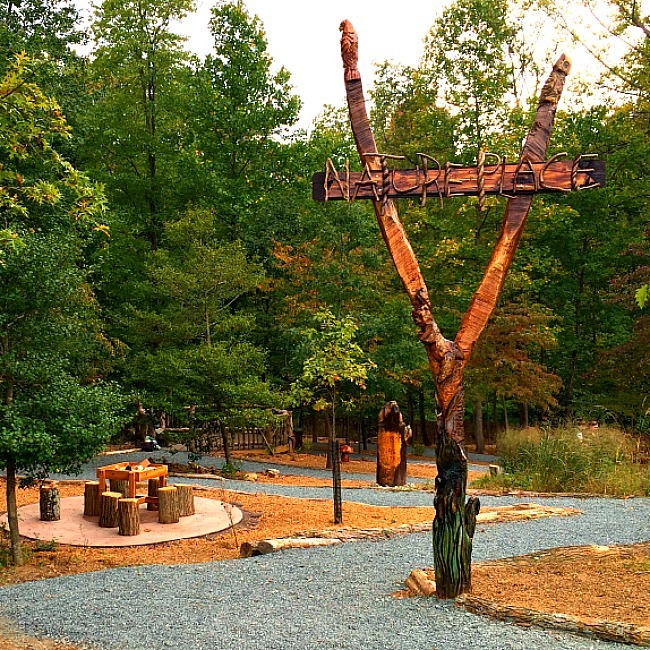 Definitely make plans to visit the Robinson Nature Center. It is a fantasticly fun place for kids! OH so much fun! 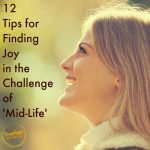 Sounds like one of my favorite childhood and plus some activities – splashing around in the water, rivers, streams and runoff from the rain along the curb (wherever I could find water in West Texas! 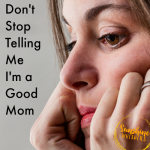 I hope more Mom and Dad’s can take full advantage of these fun ideas.